Scalp burn is definitely one the few things that you think will never happen to you – until you can’t blow dry your hair because of unexplainable excruciating pain. Add in the unsightly skin peeling in your head and you now have the most distressing summer beauty problem you’d probably ever experience. So, go ahead and make sure you’re taking good care of your crowning glory by first taking care of your scalp. Use Scalp-Screen. This may be the first time you heard of this product, but scalp-screens do exist. Sunscreen isn’t only for the body, but for the scalp as well in the form of spray. 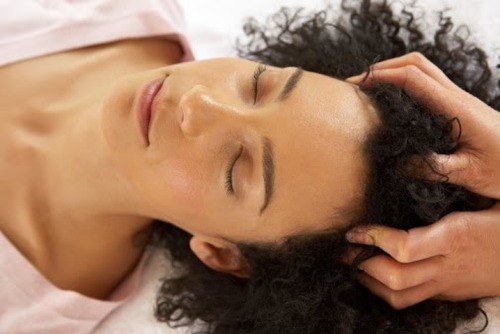 Spray some product onto your palms and massage it onto your scalp. Don’t spray the product directly to your scalp as the product will only stick to the hair and make it look oily. Avoid Getting Exposed to Direct Heat. There’s no better way to keep your scalp safe from the sun’s heat by taking a shade under a tree or using an umbrella, especially at mid-day. Always remember that the sun does more damage and is at its strongest during this time of the day so it’s vital to minimize sun exposure. Ditch Your Hair Part. Your hair can actually serve as a great way to sunburn-proof your scalp. The trick is to sport a slicked back hairstyle when you’re going out in the sun. Ditch the parted hairstyle keep your scalp protected from the sun’s harmful rays. Sport a Hat. Wearing a hat is one of the obvious ways to protect your scalp, but you’ll still be surprise as to how many people neglect this beauty trick. If you’re not into wearing hats, other pieces that you can use are bandanas and scarves, which won’t only provide you sun protection but also make you look stylish. Now that it’s summer, skin and scalp burn is no longer uncommon. However, following the aforementioned tricks can save you from the agony of unbearable pain caused by sunburn.